The Autodromo Municipal de Cabrero is a Chilean asphalt track located in Cabrero, VIII Region del Biobio. The asphalt date back to 2007. In 2009 some regional championship races were ran in the venue but with bad response from the pilots, used to run in gravel circuits of the region. Today the circuit is gaining popularity and regional championship races take place regulary with various categories. Complete redone of the track, now features a much more realistic circuit. 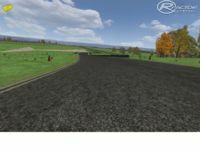 There are currently no setups for Autodromo Municipal de Cabrero. Add a Setup. Te quedó genial.La encuentro muy buena para hacer Drift. Im still trying to work it out but just cant get the program to work for some reason . And with BTB is difficult. It is a nice track, but why not have a proper AIW? A lot of rfactor drivers, race offline. "Oh, this track is intended for Multiplayer. The AI driveline is not properly made. " Then it shouldn't have been released. Yet. Oh, this track is intended for Multiplayer. The AI driveline is not properly made. Muy buena pista, ya corri en ella y es muy entretenida, muy parecida a la real !